You might think with 16 feature length videos having been produced and brought to market in the past 2 years, plus a dozen or so shorter videos, the Full Throttle Media crew would be ready for a rest. Preposterous, I say. There is no stopping. If you do not constantly push yourself to create and go to market, you begin to loss your edge. I love what I do and enjoy the challenge of creating new content. My editor and I sit around on a regular basis and discuss equipment, emerging technology, techniques and projects. If we could only do more. I could never have managed to produce all the content I have without him. To say I am grateful does not even come close to how I feel. What a pro he is. The whole process of sharing my passion with audiences is fun. It really pleases me to hear the folks, our audience, I create films and videos for tell me how much they enjoy what Full Throttle Media makes. We have a lot more projects in the works and even more on the drawing board. Stay tuned! Copyright © 2014, Full Throttle Media, Inc. This is a short trailer for the In the Spread Permit Fishing Instructional video. Full Throttle Media released six new feature length films this past week for the project In the Spread. This is our first major release of work this year and we have several more in the pipe line, at present. 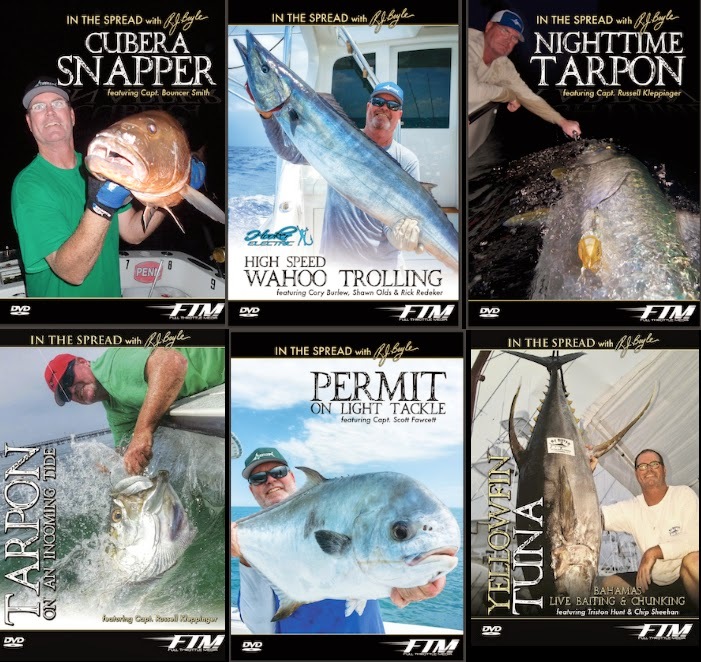 The six projects include, Light Tackle Permit Fishing, Cubera Snapper Fishing, Nighttime Tarpon Fishing, Tarpon Fishing on an Incoming Tide, High Speed Wahoo Trolling and Yellowfin Tuna Chunking, Drifting and Live Baiting. They may all be streamed on http://inthespread.com/index.html. We made a couple of major changes with our color grading and visual presentation. You will notice this if you watch one of last years films and then compare it to one of the new releases. Another nice change was the full image approach we took with the design of our DVD covers. 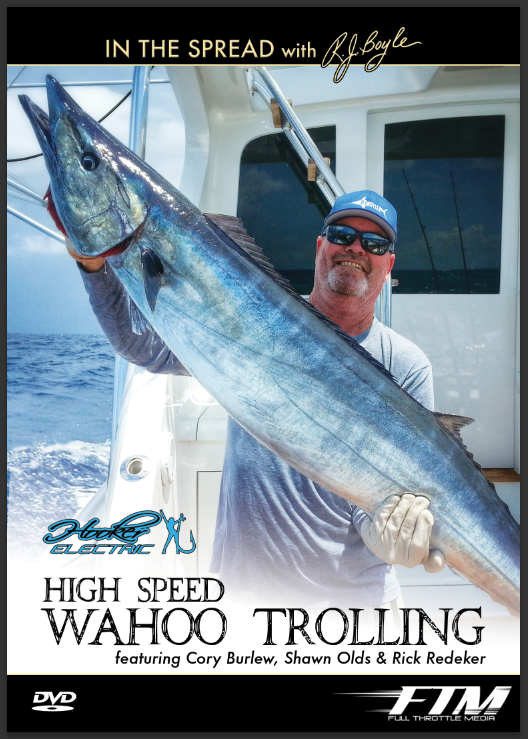 The attached image is the cover from the High Speed Wahoo Trolling film. Enjoy! This is the trailer for the In the Spread Yellowfin Tuna Chunking, Drifting and Live Baiting video. Triston Hunt, Chip Sheehan and RJ Boyle are featured in this video. The full length video will be out on http://inthespread.com/index.html in May 2014. 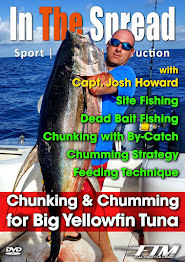 See more sport fishing instructional videos on In the Spread. The In the Spread project is produced by Full Throttle Media.